When I first came across the AIP, there were so very few resources available. In fact, The Paleo Approach, the definitive guide to the AIP, had yet to be published, so all my information was cobbled together from the various online sources I had found, as well as the original ebook format of The Autoimmune Paleo Cookbook. Thankfully, things are a little different these days! 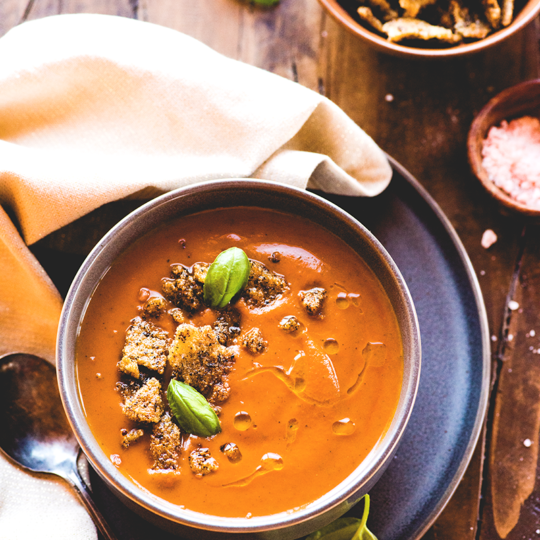 There is an ever growing collection of AIP resources out there, my own cookbook included, bringing the healing power of the AIP to an increasing number of people. This is great news! And yet, for all the cookbooks and meal plans and wonderful blogs out there, there’s been something missing the whole time. Something that brings together all the fundamentals of the AIP in a simple, clear, concise manner, without bogging you down in an overwhelming, intimidating information overload. And that, my friends, is where A Simple Guide to the Paleo Autoimmune Protocol by Eileen Laird comes in! “What a fantastic new resource for newcomers to the Paleo Autoimmune Protocol! Eileen clearly lays out everything that you need to know about the AIP in an easy to read manner that feels like a conversation with a friend – one who really understands and is there for you every step of the way. I am often sent books and products for review and very rarely will I love something enough to literally put my name on it. But I cannot recommend A Simple Guide to the Paleo Autoimmune Protocol enough. It’s the perfect introduction to the AIP, as it guides you through the most simple, practical approach to the protocol. It will walk you through everything you can expect in the process and set you up for the best possible chance of success. It’s small: topping off at just under 150 pages, this is no great tome to work through – and I mean that in the nicest possible way! You could read it in a day and come away from it ready to start the AIP with confidence. And since it’s a little dinky 8×5 inch paperback, it’s perfectly sized to drop in your purse so that you can have it to hand in situations where you might want to double check on something while you’re out and about living your life. But mighty: despite its diminutive size, it packs an informational punch. It guides you through every aspect of the elimination diet, answers every question you might have and leaves you feeling ready to tackle the protocol head on. It’s easy to read: I can’t stress how important this is! Much of what is written about the AIP is well meaning, but makes me feel like I somehow put my brain in a blender with too many science periodicals. When you’re thinking about starting the protocol, it can be so easy to get bogged down in a level of detail that is straight up intimidating. This book lays out everything you need to know in simple language and a friendly tone that makes you feel motivated instead of vaguely terrified (which accurately sums up how I felt when I first discovered the AIP). This book is your buddy with all the basics, shared in a way that could bust through even brain fog. It goes beyond food: clearly as someone who wrote an AIP cookbook, I’m invested in the flavor side of things. But it’s possible to get so caught up in the elimination phase that other essential aspects of healing are missed completely. In the same practical manner as she guides you through the diet, Eileen also addresses the other, often overlooked, components of the AIP, such as overcoming self sabotage, reducing stress, managing flares (they’re not failures) and keeping a symptom journal to help track your improvements over time. In a nutshell: anyone who has heard about and considered following the AIP, but is a little intimidated should start with A Simple Guide to the Paleo Autoimmune Protocol. If you’re an AIP veteran, you might not need this book yourself, but it would make the perfect gift for friends or family who are either struggling with their own autoimmune issues or to understand yours and why you have adapted your own lifestyle to the AIP. Bonus: at under $10, it’s a bona vide bargain! Now for a giveaway! I’m giving away a print copy of A Simple Guide to the Paleo Autoimmune Protocol! The giveaway will close at 12:00 am (PST) on Thursday 4th February. Sorry, but this giveaway is open to US residents only. International peeps, keep an eye out for a digital giveaway at a later date! Giveaway: win these AIP Resources! I’d love to win because I’ve been attempting to eat AIP for about 70 days and I know there is so much to learn. I’m likely making mistakes in my diet! Thanks for the beautiful review, Rach. You brought tears to me eyes. And I totally think we should start selling AIP Badass T-shirts! I would love to win because I am always looking for resources. I would like my sister to win a copy of this book because she has battled with fibromyalgia and chronic fatigue for years. She has come a long way and now owns her own natural therapies business and uses her knowledge to help other people in similar situations as herself. I think this would be a great asset to expand her knowledge of how to help treat and possibly heal these diseases. She and I have done some research into AIP but having a simple guide would be great!!! I’d like my mom to win a copy because there’s so much for her to learn and so much info that could help her with her allergies, adrenals, and arthritis! Well, I would like to win because I have so much to learn about feeling better. This book would be a great start. Thank you for the giveaway! I have tried the AIP twice before but it didn’t help. I need to approach it from a fresh angle and this book would really help with that. I have several autoimmune conditions. Thanks for the giveaway. I’d like a copy for me, of course! I deal with hypothyroidism and would love to use this as a resource. Even after all this time, I still feel like I’m missing parts of the healing process. And I’d love to have something easy to read like this to share with my friends and family! I would love a copy of this to add to my collection of AIP resources! Eileen @ The Phoenix Helix is an incredible resource so I can only imagine how wonderful this book must be! Thank you for this review. I’d love to win. I could use a great resource like this…! I would love to win a copy! I am following the AIP protocol and also trying to support a friend at work who thinks she should be, but finds the idea of it overwhelming. This book would help both of us. I checked your book Nourish out of the library and read it today. I will be purchasing my own copy. You have so many wonderful recipes! Began AIP about a month ago…any resource to support this journey is wonderful! Thank you! I need to dive into the AIP protocol for my Hashimoto’s, and I have a friend whose 17 year old daughter was just diagnosed with TWO autoimmune diseases! I would love to win a copy as I have an autoimmune issue that I am trying to heal and this would be a great support to me. I would love to win a copy of this book! It would be a great resource to help me on my healing journey. I have been following AIP for 6 months now and still feel I may need to figure some more things out since I have been having flares for the past month. Thank you so much for offering this opportunity to obtain this new resource. I’d like to learn more about AIP and this looks like a good resource. I would like to win this book because I am having trouble staying faithful to the AIP. I do well and then go off the rails for a few days because my brain feels deprived. I need something to help me thru the crazy brain times. Thanks! Thank you for the generous opportunity to win this great book. I’m always looking for more information on the AIP lifestyle and how to get my health back. This will help me and my recently diagnosed friend start our healing journey. I would love to win a copy of this book, and thank you so much for the opportunity to do so. 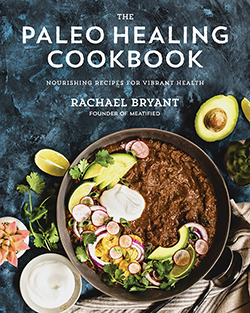 I have other books about Paleo Autoimmune Protocol – but, frankly, while I love them all, and love all of the authors’ efforts to bring goodness and healing to me . . . not one of them has the word “simple” in the title. Anyone who suffers with autoimmune disease(s) knows all too well the scourge of brain fog. Have I finished even one book? Nope. You said it yourself, “It’s small. It’s mighty. It’s an easy read. It goes beyond food.” Who, I ask you, more than me needs some of this book?? I would love to win the book so I can heal myself and my husband. Ooohhhhh, for me to read first, then I’ll give it to my mum. I’ve been full AIP for over 6 months. It’s changed my life. My mum is reeeeally struggling and I know it will change her life……but I need something physical to hand her rather than just telling her. I was talking to my mother in law about AIP for my f.i.l. He has gout. I didn’t know enough about AIP to explain it to her.